I GO through two boxes of matches and 85 in-head renditions of “Fire… I bid you to burn” before this baby finally gets going in my brand new fire pit (see Day 54). 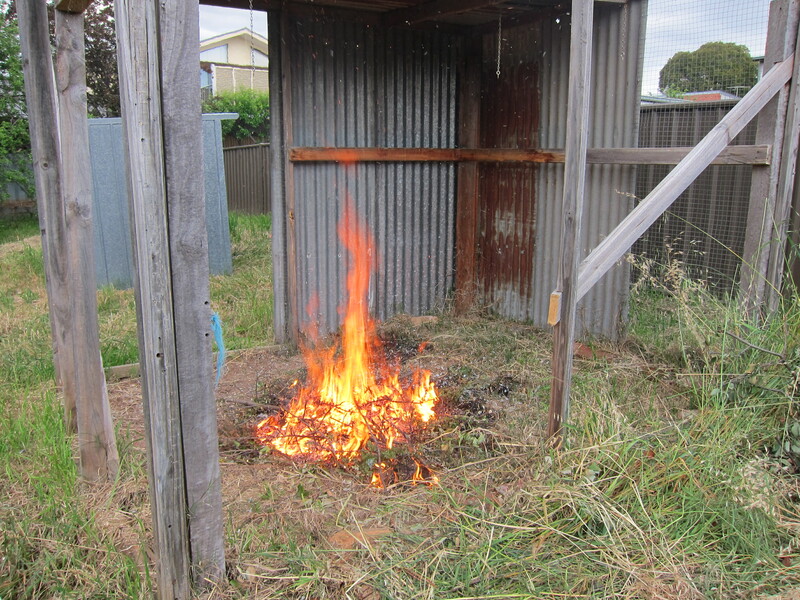 I have to dance around putting spot fires out a fair bit, but I keep it going for a couple of hours without any complaints from Doreen next door or the bastards over the fence. NB: I have made a fire before at Girl Guides, but it was under supervision. This is not. Keeper: Yes; very satisfying, addictive work, and I like the way I smell all smokey.